If you’re all for taking the unconventional route by getting the quirky accessory that’s sure to raise eyebrows, these 3 money clips would do just that for you. And because sometimes we shouldn’t be all plain and serious, go ahead and put the classic rectangular steel clip aside and opt for one of these 3 that borders on fun but yet serves its true purpose. For starters, Prada’s Sterling Silver Money Clip (SGD232) is reminiscent of a typical paper clip. Instead of clipping this piece onto your work sheets, this one is fashioned to clip banknotes, which is a pretty genius idea if you think about it. Available at MR PORTER, this piece is made in Italy from polished silver that’s decorated with the PRADA logo on one end for that extra luxe feel. Then there’s this one from Tiffany & Co., which has a pretty solid range of all things Sterling silver. This Dollar Sign Money Clip (SGD295) seen above is a literal $ sign, which is just perfectly apt for doing what it is intended to do. 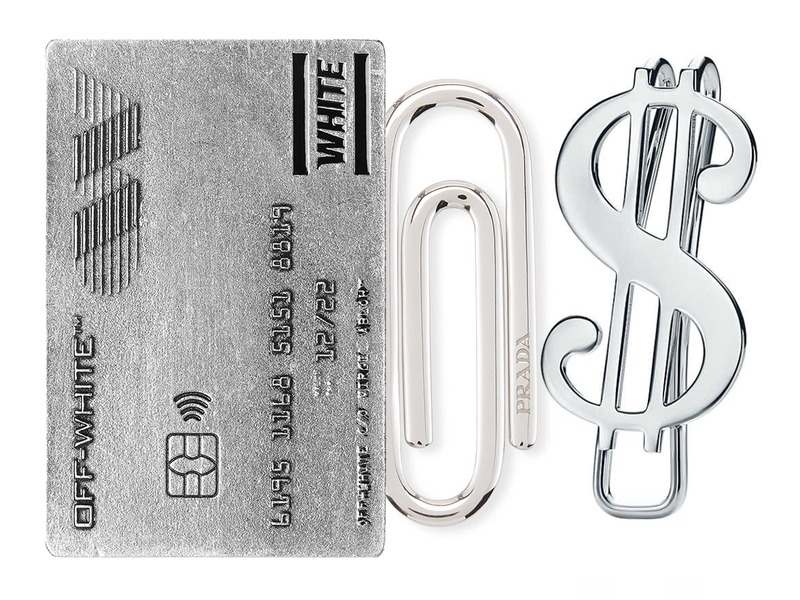 Rounding up the trio is Off-White’s Card Money Clip (SGD235) that’s probably the most tongue-in-cheek of the lot. Fashioned to look like an actual credit card on one side (complete with 16 digits and the expiry date), flip over to the reverse side and you will find a simple clip right in the middle. While it is currently sold out on Off-White’s online store, you can find it available on sites like Oki-ni which has it stocked right now.